As the weather begins to warm and spring rolls around you probably get the itch to start your garden growing. If you have room indoors to allow for early seed starting, then you are halfway to an excellent garden after you transplant them. But even after transplant (or after your plants begin to outgrow the indoor space you’ve provided) you have no guarantees your delicate seedlings are going to survive the variable spring weather. Late frosts, wind, and torrential downpours can all be indicative of crazy spring weather, and all can easily uproot your tender seedlings. This is when a greenhouse cold frame can come in handy. You can place them over your seedlings to help protect them, or even start seedlings under them before the last frost if you do not have the room indoors to do so. 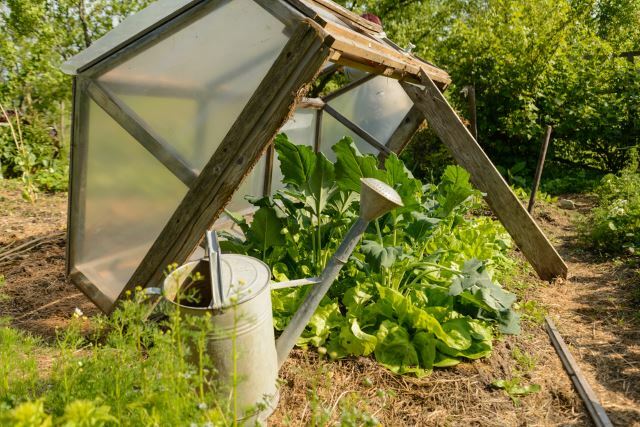 Below is a list of greenhouse cold frame ideas and designs you can apply to your own garden to ensure you have the best protection for an awesome harvest possible. 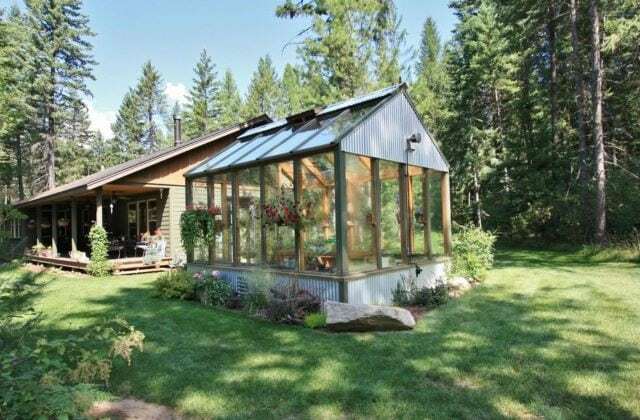 What is a Greenhouse Cold Frame? 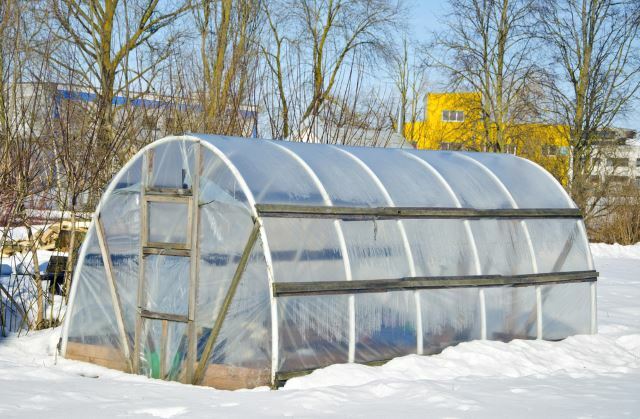 What is the Difference Between a Cold Frame versus a Greenhouse? 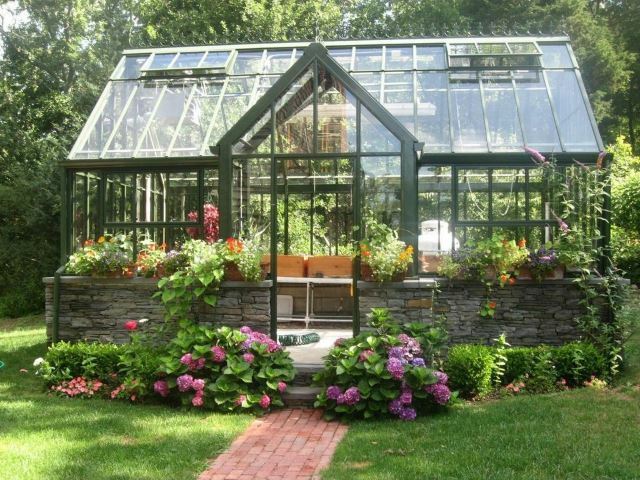 A greenhouse cold frame is exactly what its name hints at. 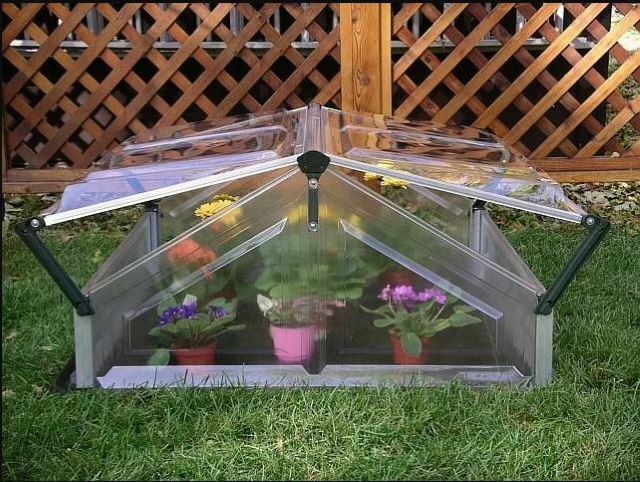 Basically, it is a miniature greenhouse that can either be in a permanent location, or portable, and is used to extend the growing season of your plants on either or both ends. They are an excellent addition to a garden to help protect from late and early frost, and other inclimate weather. It also can be helpful to bring a late harvest to fruition or even help overwinter plants in certain climates. 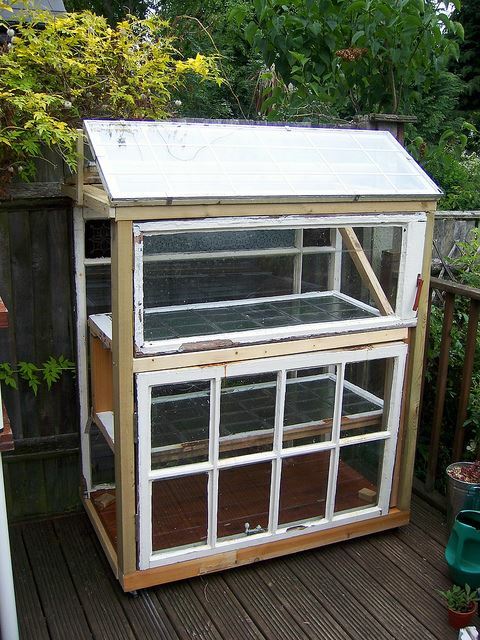 Most people are familiar with the term greenhouse, but not so much a cold frame. 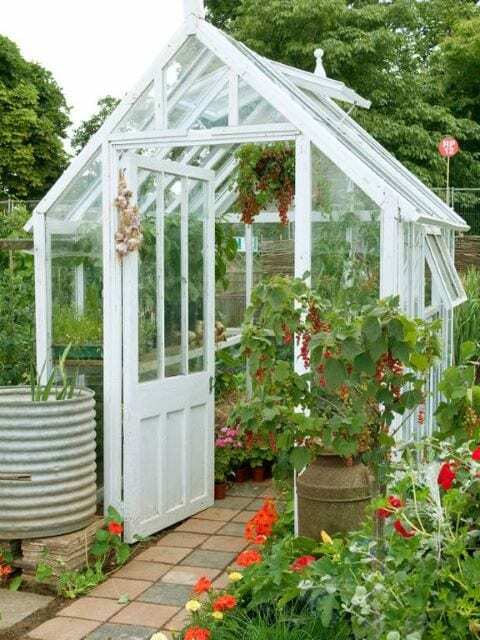 The technical definition of a greenhouse in the gardening world is not simply a structure in which you can grow plants, but rather an environment in which temperature can be controlled to provide the perfect plant growing conditions no matter what stage of growth your plants may be in. 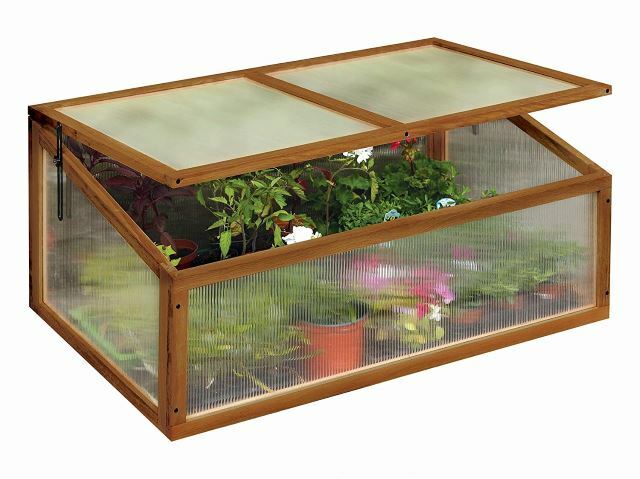 A cold frame, as described above, is used to extend the growing season, and help protect plants. The temperature is not controlled within, and they depend upon the sun to provide the warmth needed for the plants. They also are also usually very easily vented to avoid overheating. 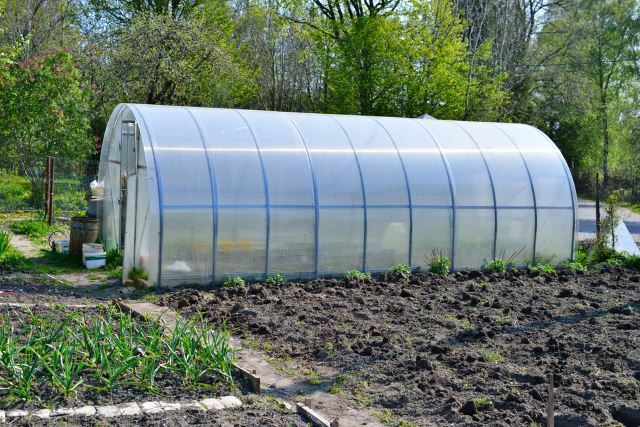 Many people purchase greenhouse kits for their gardens, not realizing they are actually constructing a cold frame if they are unable to control the environment within. Which really isn’t a problem as long as it serves its purpose! This rectangular frame is edged in stained timber and uses a twin walled polycarbonate construction to provide a portable atmosphere. 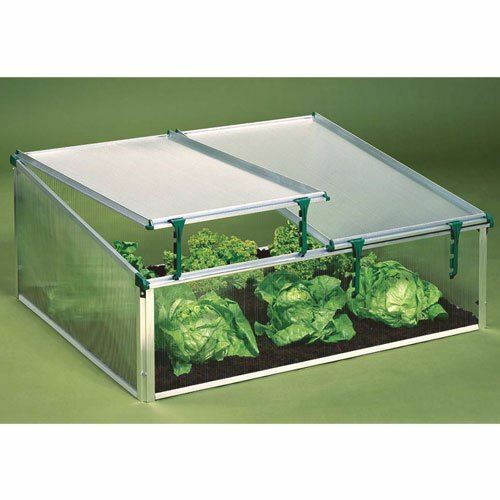 The double hinged top can be locked easily into place to provide airflow and keep your plants from overheating. This is an excellent, portable design for larger areas. 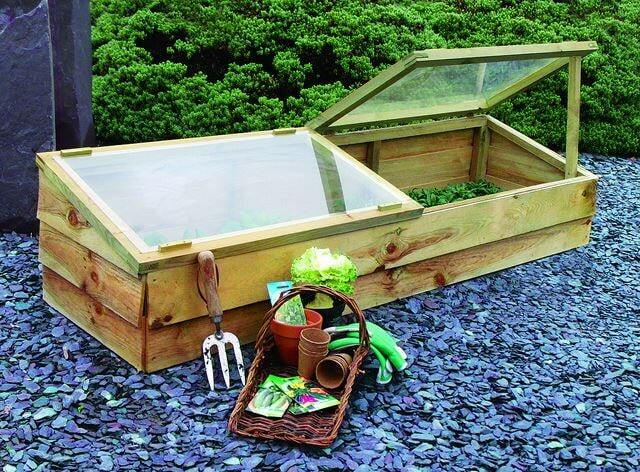 This easily accessible cold frame is made in more of a sloped, traditional design to provide you with access through a hinged, top lid that can be locked into place. This frame is made of long-lasting Acacia hardwood and uses UV-treated polycarbonate walls. 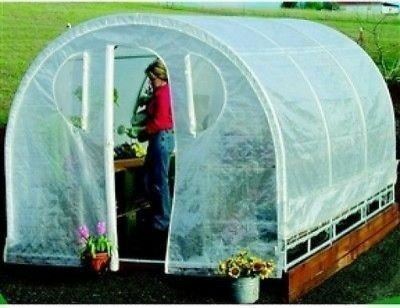 This size of a frame is made for a more permanent location in which to start your plants or provide overwintering. 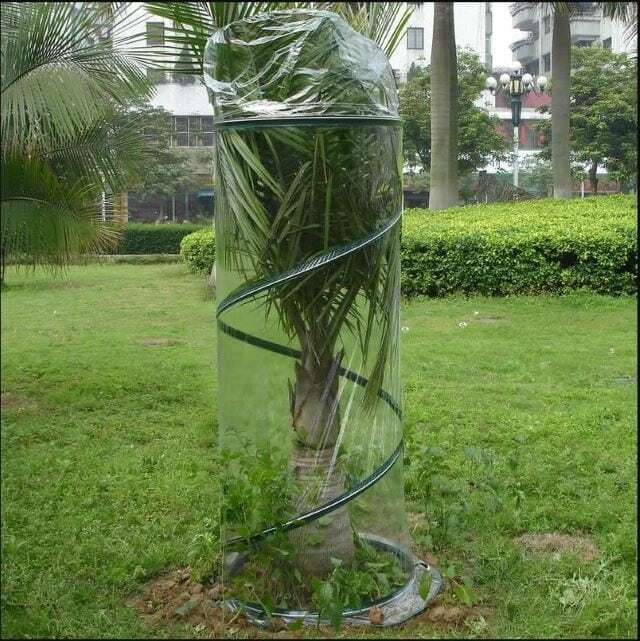 It can serve as an all-season protection as well for certain types of plants that do not grow over the top of the frame. 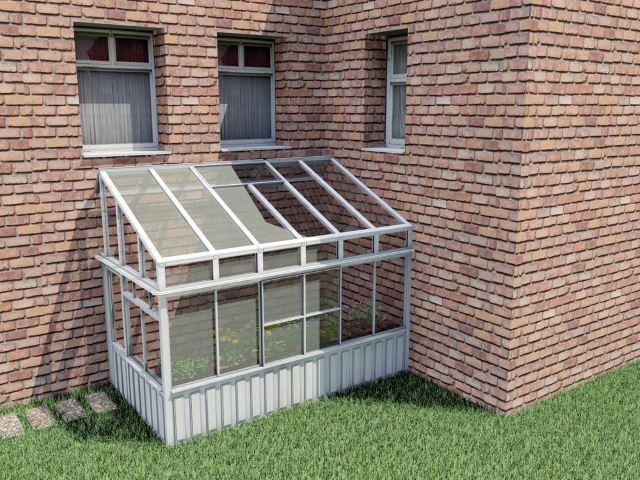 This aluminum framed, double-sided structure design is perfect for the ambitious gardener looking for twice the room for their plants. The polycarbonate walls are durable, and the two tops are hinged for easy venting. This more traditional design boasts the taller back but extends the design side to side with twin lifting lids that can be accessed separately and propped open for variable air flow. 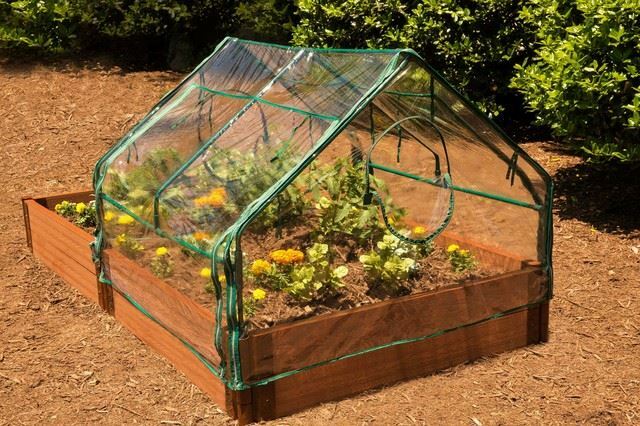 A strong metal frame and durable double skinned panes keep your plants protected and avoid yellowing under the sun. 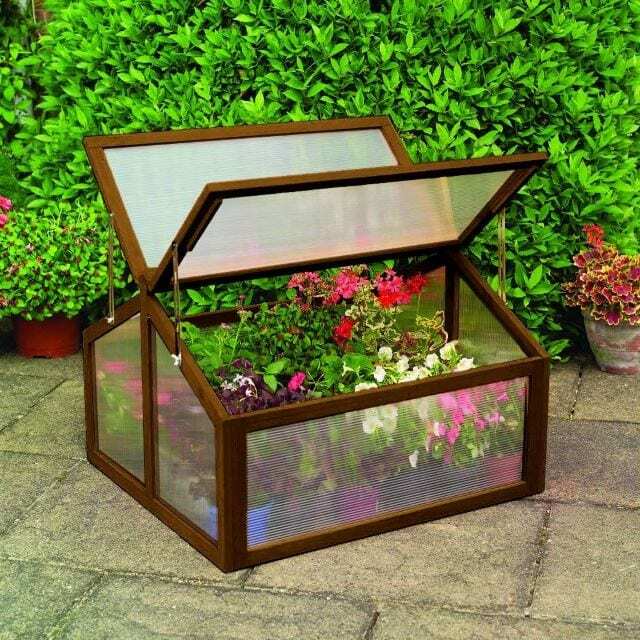 This design is the type normally toted as a greenhouse kit, and although is not temperature controlled, is an excellent way to get your plants started, and to provide winter protection with care to provide good airflow. 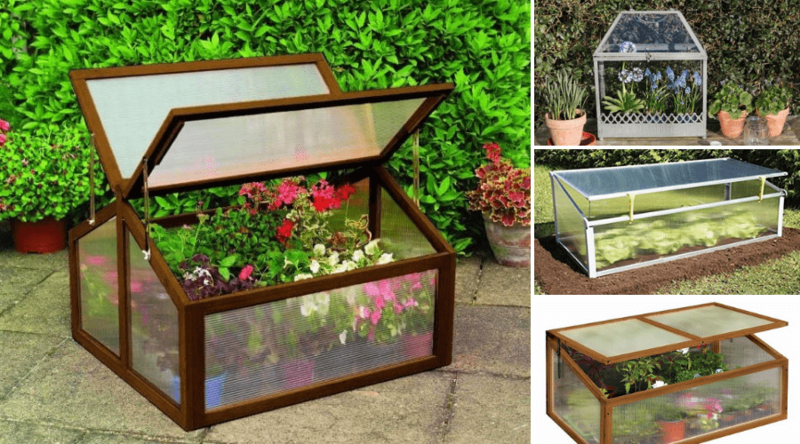 These are easy to put up and affordable for backyard gardeners. 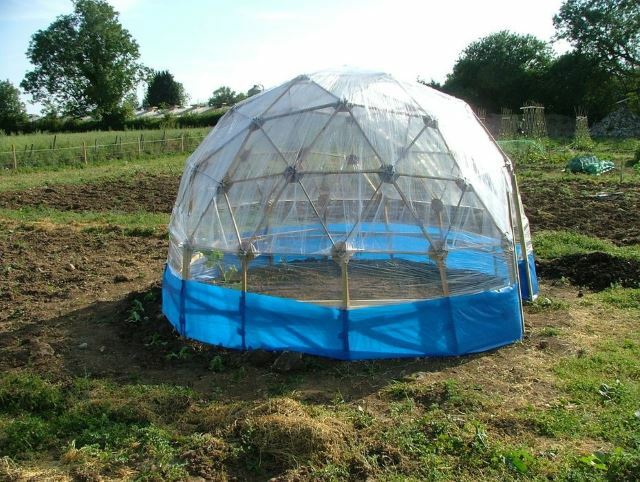 Another kit like a design, these provide an aesthetically pleasing place to take advantage of in inclimate weather and often can be large enough to consider adding a heating element of some sort to create more of a true greenhouse effect through the colder months. Aluminum frames, poly sided frames of all designs are a popular choice for both permanent and temporary situations in the garden. Their lighter weight makes them an excellent choice to have on hand for any garden type to extend the season. 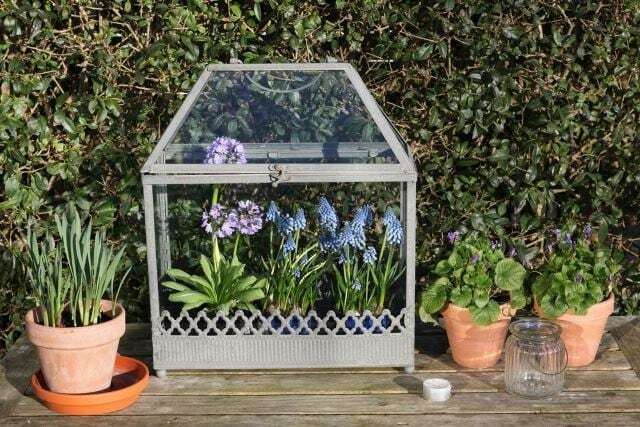 This miniature cold frame showcases an old-fashioned design popular with gardeners starting small plot of land within urban areas. They may not be large in size, but are perfect for small potted plants, and also are highly decorative. 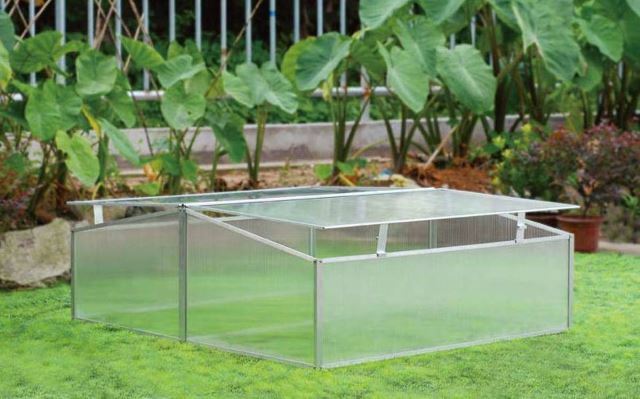 Although a cold frame of this size easily lends itself to true greenhouse possibilities, the simple structure is perfect for getting your garden started. 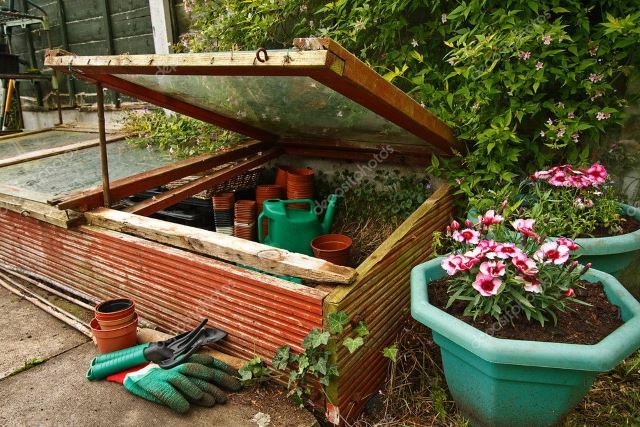 It also serves as an excellent storage area for gardening materials, as well as a place to protect worm composters or overwinter certain plants. You don’t have to get fancy with your cold frame designs, and a simple DIY frame such as this provides what you need when you need it with no frills or complications. 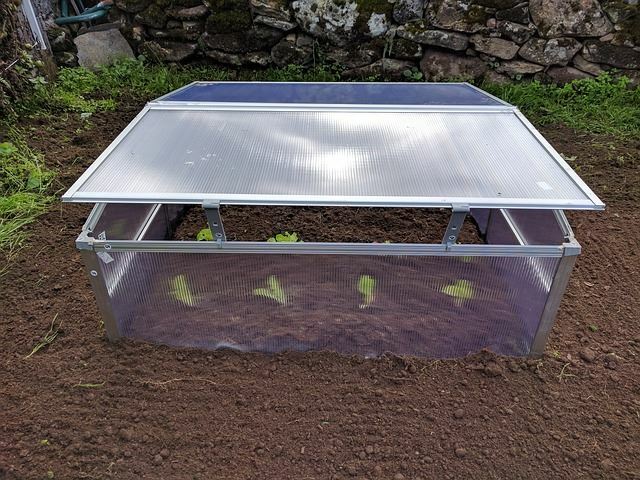 Cold frames can be made light enough to prop up during the heat of the day and lowered for the evening chill. Gardeners who use and have embraced cold frames in their garden often take advantage of it as storage as well as a great place to get their seedlings started. This well loved, glass and a wood framed tool are built right into the garden bed to provide warmth and protection when needed. 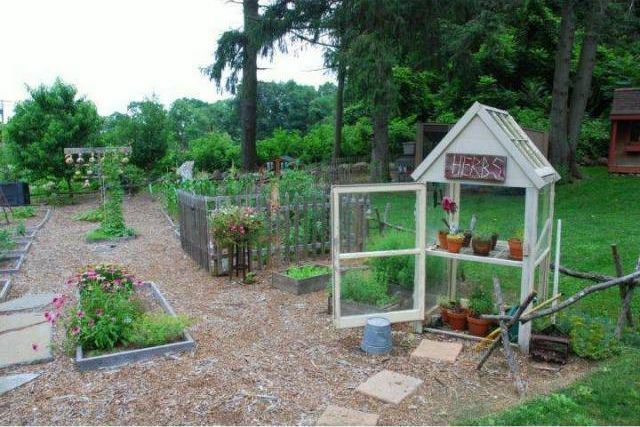 Cold frames don’t have to be placed on the ground to be effective. 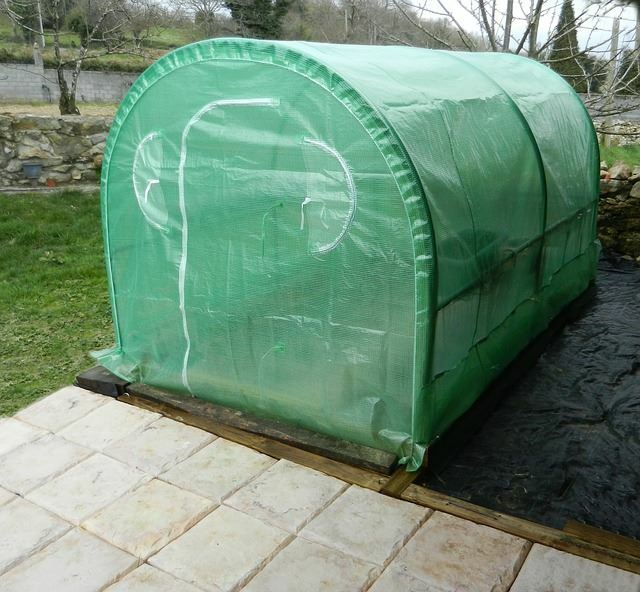 This portable design can be moved to where you need it to take advantage of seasonal light and provide valuable plant protection. This modern design is a great choice for both semi-permanent and portable uses. It works well with raised beds as well and is a durable little choice that allows you to both vents your frame or even open completely with fold over hinges. If you have ever traveled through the south in the winter, then you may have seen palm trees wrapped in insulation against the possible cold. Palms do not do well when hard freezes occur, and to protect the plants, the trunks are wrapped in various materials. 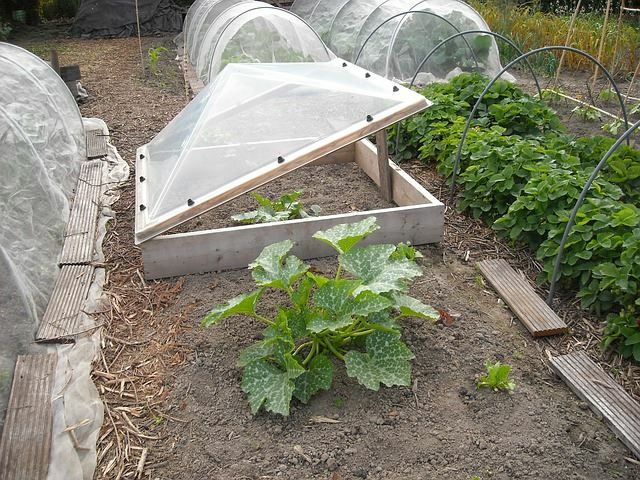 You can also apply a cold frame design made specifically for sunny southern states that still dip well below freezing for periods of time. These collapsible frames are the perfect solution for sapling trees, small woody perennials, and your favored potted plants to protect against frost and freeze. They literally collapse down flat and ‘spring’ back to life when released. 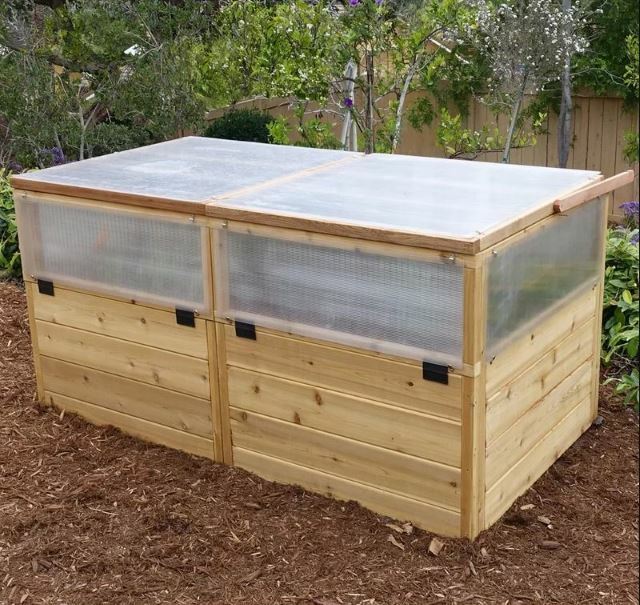 The construction of this garden bed incorporates a built-in cold frame to allow for early planting and protection, a mesh screen as your seedlings grow, and a design that allows you to remove the lid and sides completely once your plants begin to reach maturity. This design is more cloche-like in nature and is made from simple PVC connectors and a durable plastic covering. 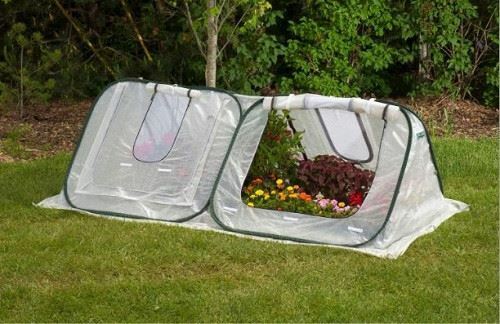 This is a quick solution for garden protection and seed starting and can be used in any gardening situation due to its lightweight and simple design. 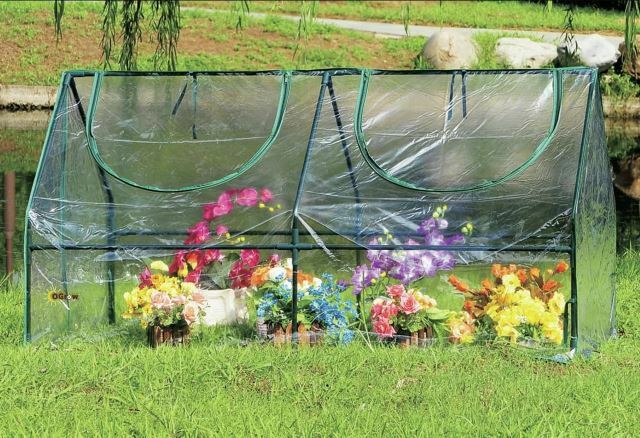 With a little ingenuity and some durable garden fabric, you can create your own protective frame through the early spring and late fall to ensure you get a full harvest. Light colored garden fabric lets in plenty of light and provides insulation to keep in the heat when needed. 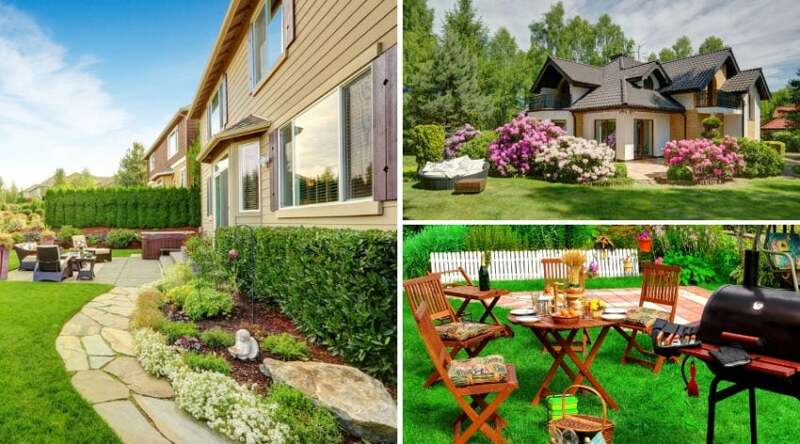 If you like to garden, you have an eye for unused space already, and there is no reason why you can’t take advantage of those out of the way corners to place an area to get your garden started, or store gardening materials. Placing a sturdy metal frame in a permanent position can provide you the size you need for your plants no matter what your needs are. Draping plastic over the frame creates an easily replaceable, and easy to take down, cover that is budget friendly from one season to the next. This frame is integrated into the scenery as part of the garden mysterious the landscaping lends. 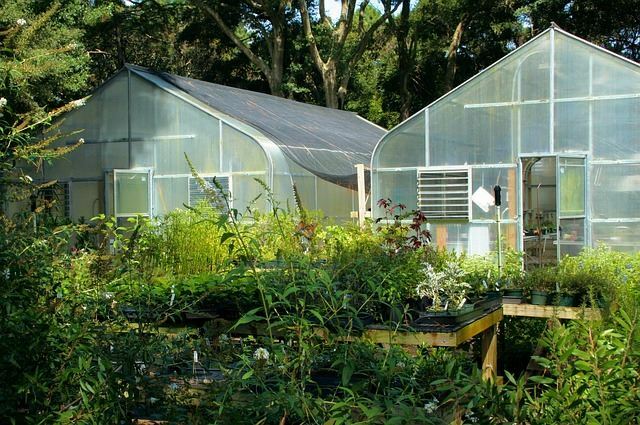 If you know you could put a more permanent building to good use, it is well worth the investment to create a small building such as this tucked away for both your own privacy and health of your plants. You don’t have to break the budget to protect your plants through the winter. 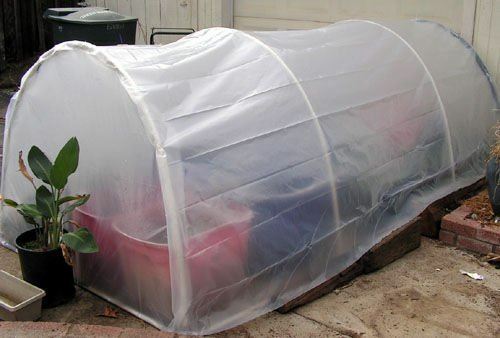 If you live in a sunny area, a simple handmade frame and plastic sheeting are all you need to insulate your plants from the worst of the weather. This unique design has portable protection like no other. 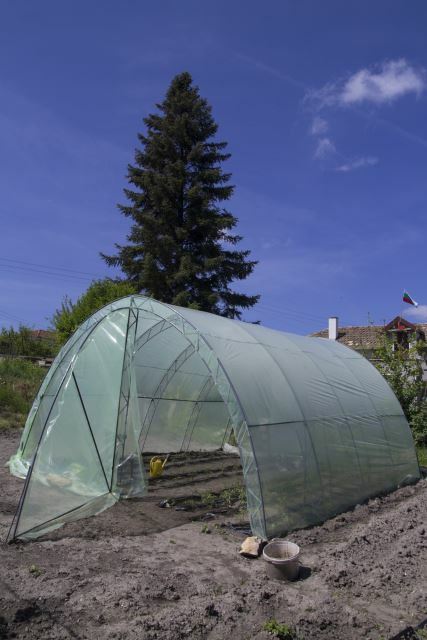 Made to be moved from place to place, you can simply unfold it whenever frost threatens, or leave it up as a temporary housing for young, or harvestable plants. These little frames go up in an instant and can be zippered together to create an extended frame for larger garden spaces. They are perfect for raised beds but have enough rigidity to stand alone when needed. Once the weather warms you can vent them, or simply unzip and roll the entire thing up while leaving the frame in place. 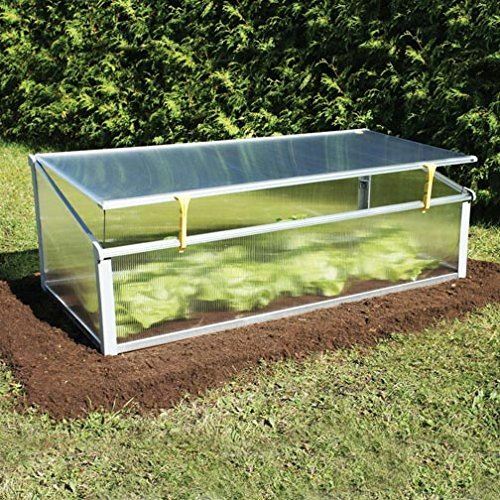 Technology really has taken cold frame designs to a whole new level. It used to be you needed wood and glass, but now plastic sheeting and steel frames such as this can go up with very little effort, and be store away if needed without having to waste the materials. 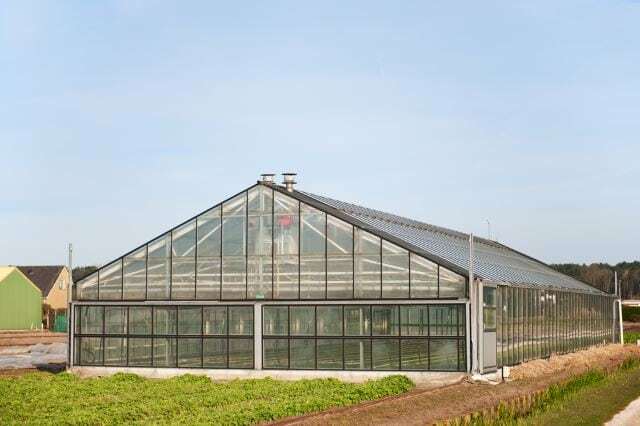 Although these are true greenhouses in every sense of the word, pay particular attention to the slightly opaque black sheeting draped over the tops of the houses. This is to help provide a slight shade to the plants within through the height of summer so they can receive a less direct sunlight. 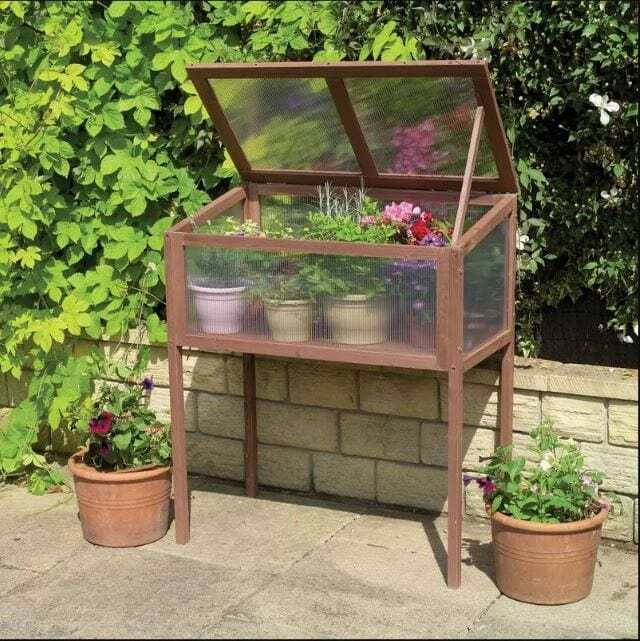 If you have a more permanent cold frame, you can do the same to avoid wilting any plants you have within. It also works in intense areas of sunlight through winter months is the heat is getting too high within the frame. Don’t feel you need to have clear glass or plastic for your frame. 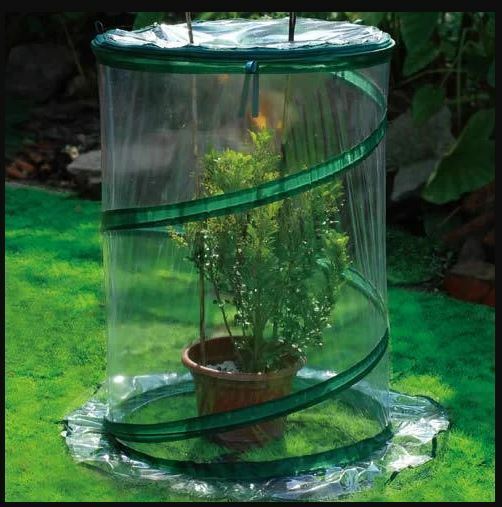 Much opaque covering provides plenty of light needed for plant growth and also may be more protective through the summer months as a direct light can be damaging to certain plants. 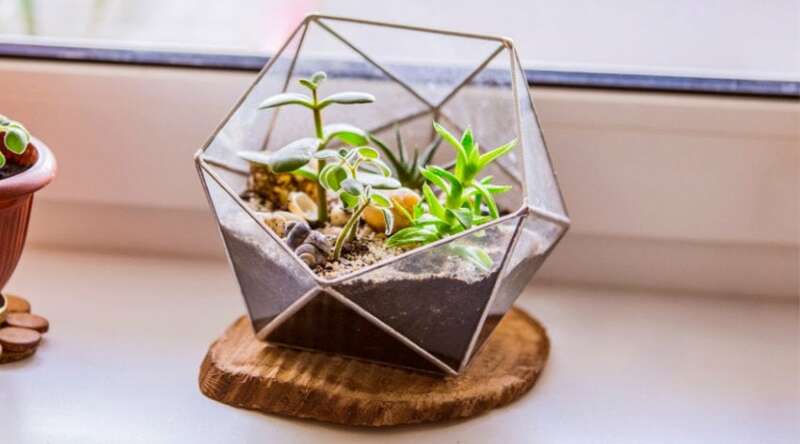 Depending on the types of plants you are growing, you may want to mix and match the frames you put to use. 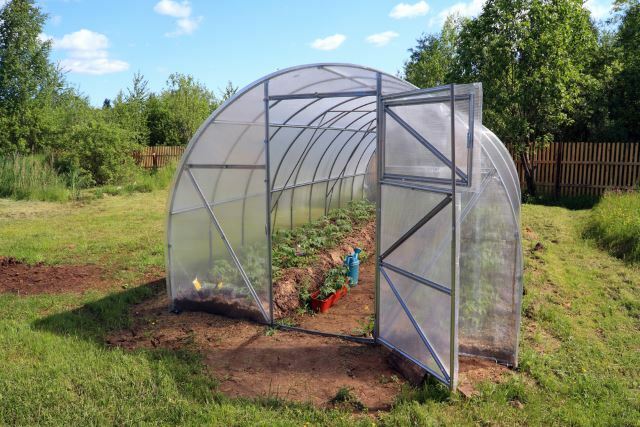 These longer tubed frames cover early strawberries, while the homemade from a used skylight and a few boards protect other various spreading veggies. 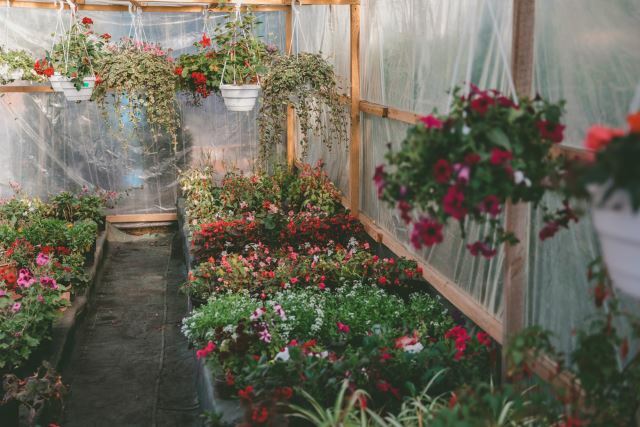 From the inside, your plastic draping may not be the most aesthetically pleasing, but it is highly effective and can help provide the heat and humidity needed for your annuals to survive inclement weather, or maybe even make it through the winter if the sun shines enough. Frames such as these are incorporated right into the growing areas as can be seen here by the started plants that are actually started in the ground before being transplanted rather than in pots. This allows them to become more mature and healthy to survive transplant shock more easily. If a traditional small frame or more permanent structure is just not your thing, consider getting creative and make your own that fits your personal decor. Old, discarded windows are easy to come by in any flea market, and with a little elbow grease and a few tools, you can get them cleaned up and fitted together to make your own structure. This place looks a bit like a designer spa- for your plants. 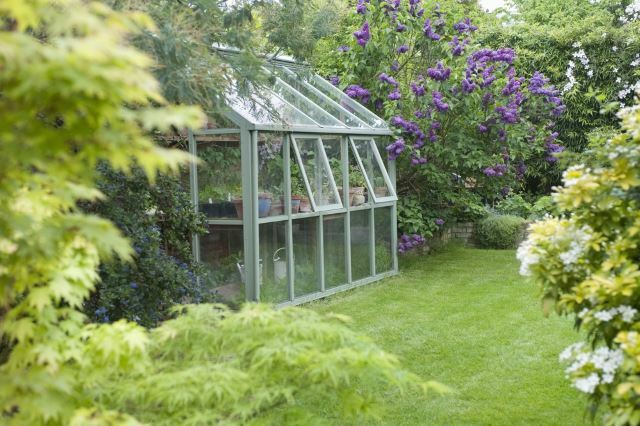 If you have space and love to garden, frames such as these serve as a great place to work within and provide the climate for early plants to thrive and grow before being placed in the garden. Small buildings such as these are easy to create by upcycling old doors and windows, and typing them into your own handmade frames. This is an excellent idea for spaces that simply don’t fit the more traditional kit designs offered, and most likely don’t take that much longer to create when you have a vision and plan in place. When you are in control of the design, there is no telling what can happen. Corrugated metal, wood, and glass all make up this masterpiece that blends well with the surroundings and provides year-round interest. 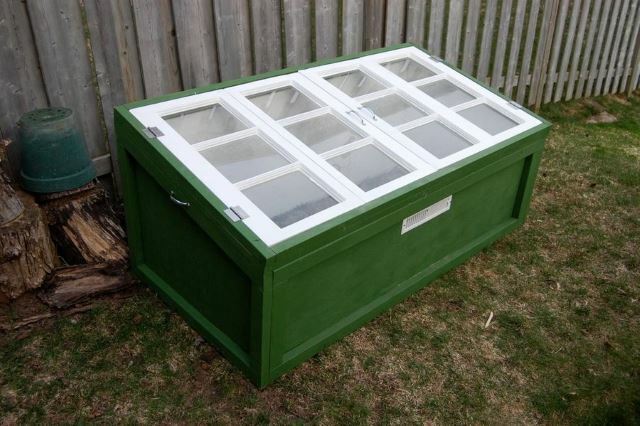 If you absolutely love the idea of creating your own cold frame and are not opposed to upcycling some old materials, these instructions are for you. Of course, you can alter the design to make it work for what you have, but you have to admit the idea is ingenious! Who said frames had to be all angles and straight lines? 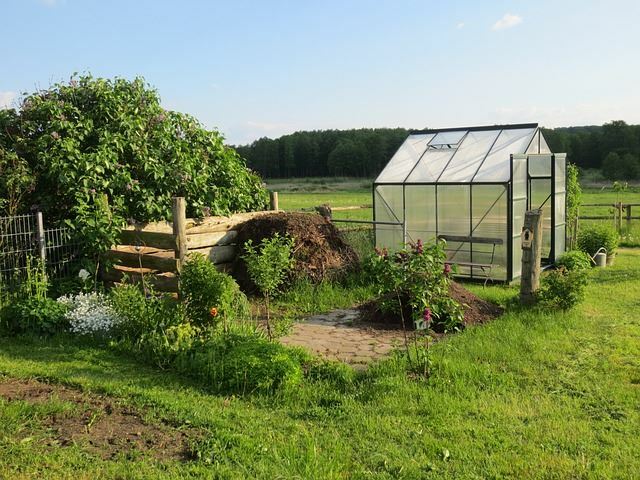 The plans provided in these instructions are awesome and allow for a dome-like structure to take the place of a traditional cold frame design. 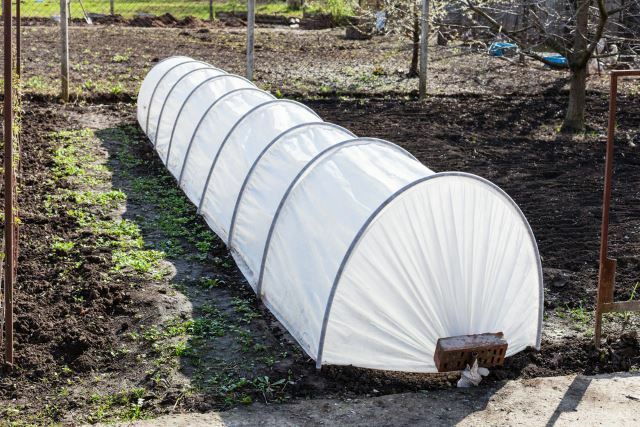 This simple set of instructions creates a spacious 5×5 arched frame and cover that you can easily use for a variety of space throughout your garden beds. Start your seedlings, protect your tenders, or extend your garden greens well into early winter with this simple plan. Salvaged windows and simple frames define this awesome little housing for plants. 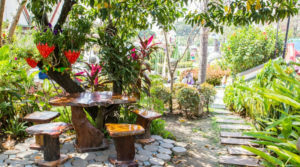 Like it was mentioned earlier, making your own structure allow for your own creative self-shine through, and provides a touch of the unique to your garden spaces. The more traditional design of this frame is always a favorite that you can never go wrong with. Although portable, they work well to be placed in an area you depend on for sun and plant protection, and beats the sense of true gardening savvy. I hope you enjoyed looking through the many ideas above as I did! It may be hard to envision your own permanent frame, but a temporary kit or even a DIY project could be on the horizon! I especially love the repurposed plans, and have my mind spinning to where I can gather enough old windows and doors to make my own! If you have any ideas of your own to share, we would love to hear about it below, and, as always, help spread the word! 63 of The Best Landscape Hedge Ideas: #39 is Awesome! 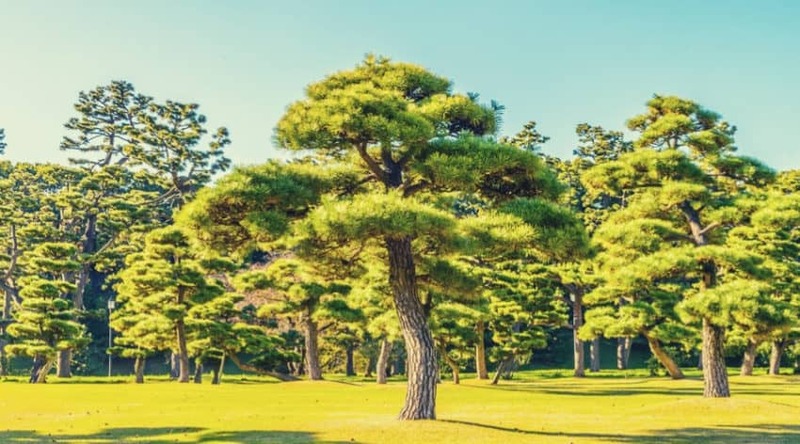 13 Stunning Giant Bonsai Trees with Pictures!